Baldi Barn is located in the Rock Mountain area of beautiful Fallbrook, CA. We are located just 10 minutes from downtown Fallbrook and 20 minutes from Old Town Temecula. The ranch features 2 arenas, spacious sheltered pens, cross ties, a hot- water wash rack, immaculate tack room, hill track, access to Santa Margarita River Trails, and a swimming pool for rider’s use. I am Kiri Baldi, owner and operator of Baldi Barn, where family, friendship, and love of horses brings us together. Through kind, patient, systematic, and sometimes humorous approaches I strive to teach horse and rider to work cohesively. 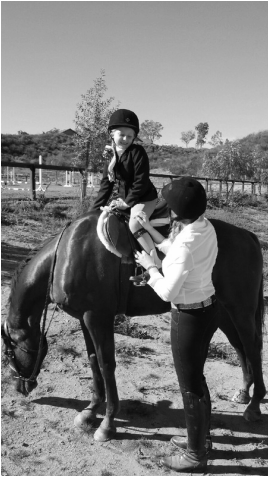 No matter the end goal of the student, whether it simply is improved riding skills or to compete in a horse show, all students are challenged to endeavor towards fine horsemanship. Fine horsemanship is an art that requires life- long learning. It is the manner and the ability to ride, handle, care for, and properly steward the horse. This is my passion and I find great joy in teaching people who share my love of horses and want to try to build respectful relationships with them. ​​ "Stable for Wild Hearts"